India's next government should aim to redevelop the port area into an efficient, dense, walkable cluster offering the high quality of life and green spaces lacking in the rest of the city. Even as India is consumed by its upcoming elections, the world’s biggest, the country is nearing another milestone: It’s set to overtake the UK to become the world’s fifth-largest economy. By 2030, its GDP could top $10 trillion. Yet, unusually for such a geographically large and economically vibrant country, India has no states to compare to California in the US, China’s Guangdong province or Japan’s Kanto prefecture -- all regions with $1 trillion economies. Nor does it have a city on par with New York or Tokyo, both of which boast bigger economies than countries such as Canada and Indonesia, accounting for over a tenth of national GDP apiece. However, Mumbai has a unique opportunity to turn its fortunes around. The city’s port, which occupies about 900 hectares along the prime eastern waterfront, is slowly vacating the area because shipping and allied activities have moved elsewhere. Redevelopment plans so far have focused on infrastructure, including a cruise ship terminal. (3) The area could be something much bigger: a means to transform Mumbai into a financial powerhouse on par with Shanghai and Hong Kong. Nonetheless, a big idea such as transforming the waterfront into the National Financial Capital Region could fire up imaginations among bureaucrats, bankers and citizens. What’s more, Mumbai’s port is just one of many public sites that are either unutilized or underutilised. India’s railways, ports, defense services and state-owned companies control hundreds of thousands of hectares, a large proportion of which are unproductive relative to their location in the heart of big cities. 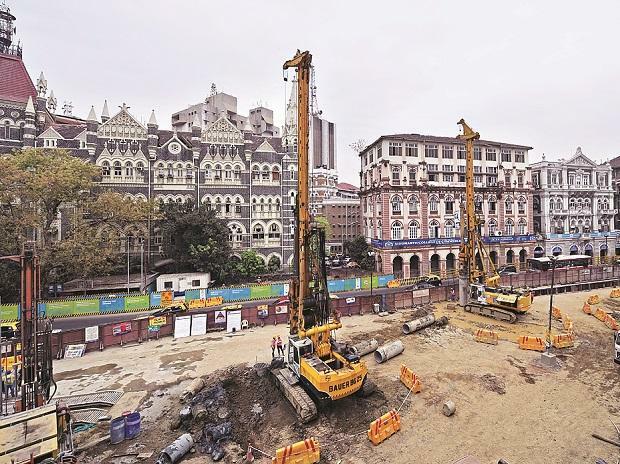 Success in Mumbai could potentially unlock much larger tracts of land across the country, boosting the economy and dramatically improving the quality of life in Indian cities. Whoever triumphs at the polls next month shouldn’t let this opportunity slip.